Thinking of going on one last jaunt before summer officially ends? Take a bus ride to Zambales, a low-key beach paradise up north. Here, you'll easily find a ton of options for budget-friendly weekend getaways, and yes, there's more to the province than Anawangin. Crystal Beach has been a mainstay in the Zambales resort scene for years. It’s an expansive resort with a wide stretch of sand and a ton of amenities, from surfing lessons to island hopping to various sports activities. Spend the night in one of their homey accommodation options, or pitch a tent on the beach for a fun experience. Tent rental rate is at P750/person/night (P550 if the guest brings his own tent); Jungle Hostel rate is at P850/person/night (minimum of two persons); room rates start at P1,700/night. Blue Rock offers a selection of comfortable air-conditioned rooms at pretty affordable rates. The food at their on-site restaurant is said to be delicious, and the sunset view is pretty amazing. The best thing about Blue Rock, however, would be their floating bar. We can already imagine ourselves bumming here with our barkada! Room rates start at P1,530/night. For budget travelers, nothing beats Circle Hostel. 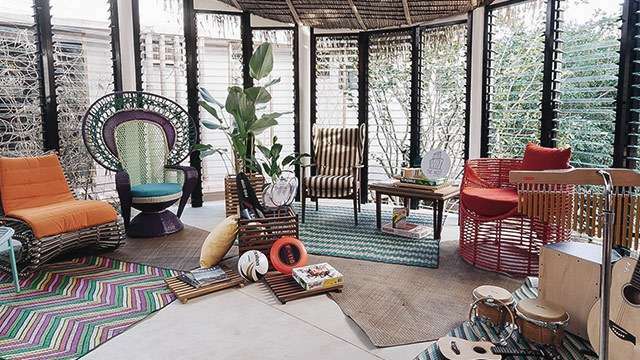 Their Zambales outpost is as homey as their other branches, with hammock beds, art-speckled walls, and their trademark chill vibe. The Circle staff also arranges a ton of fun activities for their guests, from surfing lessons to waterfall treks to cultural immersions with Aeta tribes. Hammock bed rates are at P400/night, while a bed in one of their dorms is at P500/night. If you just want a no-frills beach bumming experience, Blue Spruce would be a good choice. They don’t have a restaurant or a fancy swimming pool, but their rooms are clean and, most importantly, very affordable, with hands-on staff eager to accommodate their guests’ every need. And with the ocean right at your doorstep, what else would you really need, right? Room rates start at P1,000/night. The Lagoon Resort has really friendly staff, cozy rooms, an on-site restaurant, and a small swimming pool where you can take a dip in case you get tired of the sea. And if you run out of supplies, the market is just a short ride away. Not bad! Room rates start at P899/night. This island is just a short boat ride from the mainland, making it a convenient getaway. Given its location, you'd think it'd be overrun by tourists, but nope, it's still pretty quiet, with fine white sand, clear waters, a mangrove forest, and coral reefs. You can opt to spend the night at one of the two resorts there, or go camping for the complete island experience. To get to Magalawa Island, ride a bus bound for Sta. Cruz and get off at Brgy. Pangolingan. Ride a tricycle to get to Luan Port, walk to the ferry, and take the boat to Magalawa Island (P100, round trip). Entrance fee is at P100. 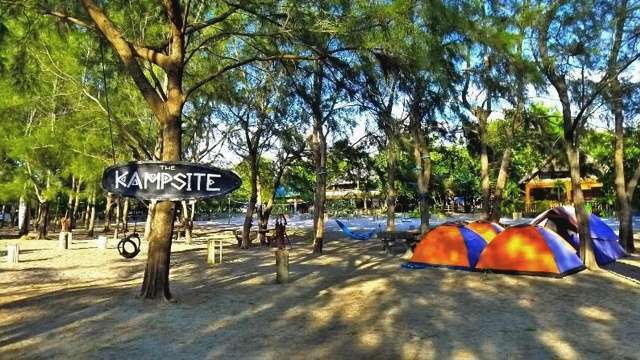 Accommodation rates at either Ruiz or Armada Resorts start at P1,200, and there's a P200 fee per tent for campers. Tired of the crowds in Anawangin? Head to nearby Talisayin, one of the more secluded coves in Zambales. We're not kidding about the secluded part. This stretch of off-white sand, bordered by lush pine trees, is practically devoid of tourists on most days. Pitch a tent, sleep under the stars, and wake up to one of the most serene sunrises you'll ever see. To get to Talisayin Cove, ride a bus bound for Iba or Sta. Cruz and get off at the San Antonio Public Market (around P250). Ride a tricycle to get to Pundaquit (around P30), then rent a boat to get to Talisayan Cove (around P1,000-1,500, good for 4 persons). There's a P50 entrance fee and a P100 camping fee if you wish to stay overnight. White sand, clear waters, lush green trees, and gorgeous sunset views—you can find all that and more on Potipot Island, a tiny beach paradise north of Zambales. It's a small island—you can easily walk around it in less than an hour—with no fancy resorts or restaurants, but if you want to experience nature at its most pristine, there's no better place to go. To get to Potipot Island, ride a bus bound for Sta. Cruz and get off at the Uacon Barangay Hall in Candelaria. Ride a tricycle to get to the boats heading to Potipot Island, then rent a boat to get there. Travel time is around 10-15 minutes. There's a P100 entrance fee for day tours and a P300 fee if you're planning to stay overnight.